Cast resin, semi-scale coupler boxes. These are designed for the Kadee #158 whisker semi-scale coupler. Mounting screws are not included. Click on the image to review a larger size. 20 pair of coupler boxes are $24, including postage. 40 pair of coupler boxes are $44, including postage. Use 1-72 screws to mount these to your HO scale models. Use a #48 bit to drill a clearance hole through the box. Use a #53 bit to drill a hole in the model floor and tap the hole for the 1-72 screw. Small batch decals will be available here from time to time. These will often be era and prototype specific and may not be relevant to a Resin Car Works product. More details will be posted as these decals develop. The decal sets listed below are now available. All sets are HO scale unless otherwise noted. Please complete the order form with the proper item code and quantity. Resin Car Works decal sets are printed by Rail Graphics. 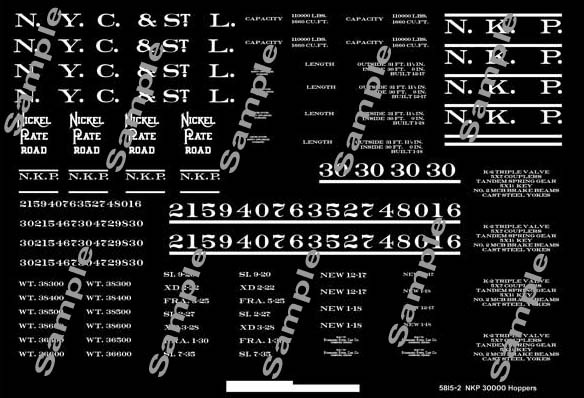 Decal set is intended for a 1321 cubic capacity covered hopper model. Funaro & Camerlengo kit #7090 or 7091 are good starting points for these prototypes. A brass model was imported years ago by the Precision Scale Company. This two-color decal set will FULLY letter one covered hopper in this paint scheme. The prototypes were seen along several lines in the midwest. Decal set will FULLY letter two engines, if you are careful not to repeat certain numbers. Sets are printed in silver lettering. Decal set will FULLY letter one engine in any paint scheme between 1934 and 1958, including former Wheeling & Lake Erie engines. Sets include dulux and white lettering. 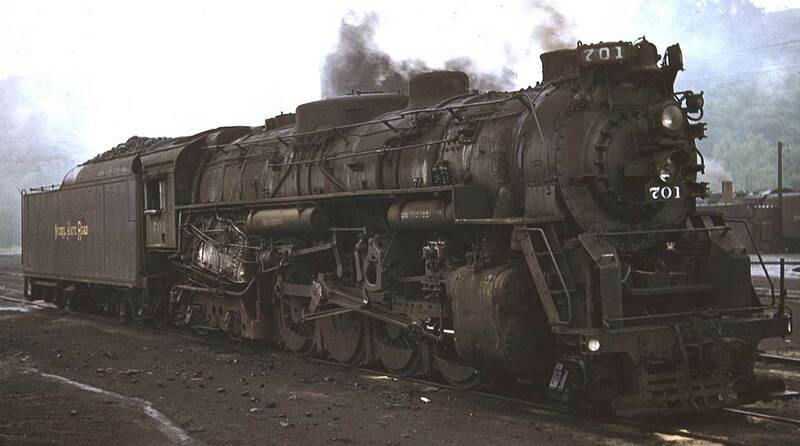 30000-30749 series 30-foot composite twin hoppers. Cars in built February 1918. Decal set will FULLY letter two cars in their delivery scheme, which was worn as late as 1940. 99000-99449 series USRA twin hoppers. Cars built in August 1919 for the TStL&W (Clover Leaf), and acquired by the NKP in 1924. 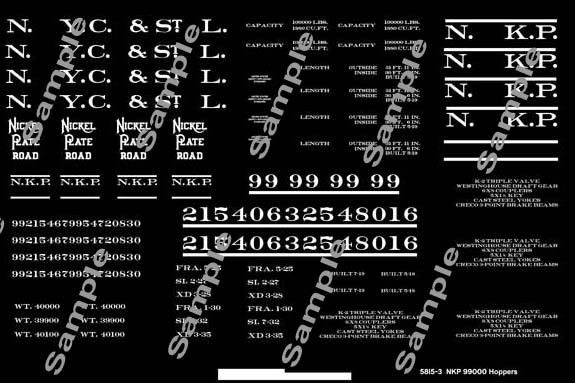 Decal set will FULLY letter two cars in their 1924-1932 standard lettering scheme, which was worn as late as 1940. 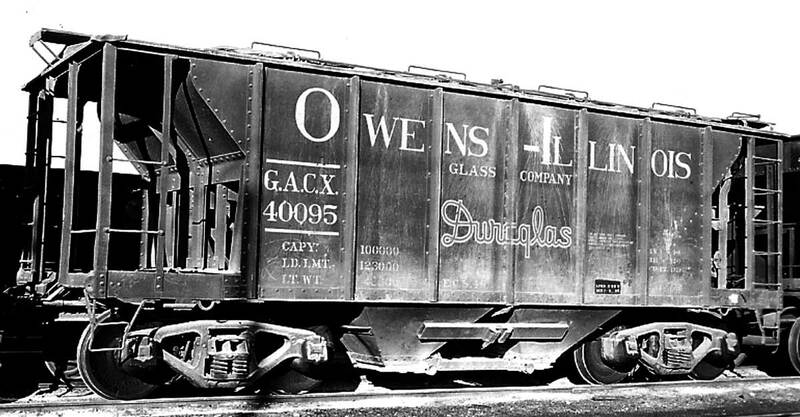 38’ double sheathed plain boxcars. Covers NYC Lines cars in 1912-1930s lettering. 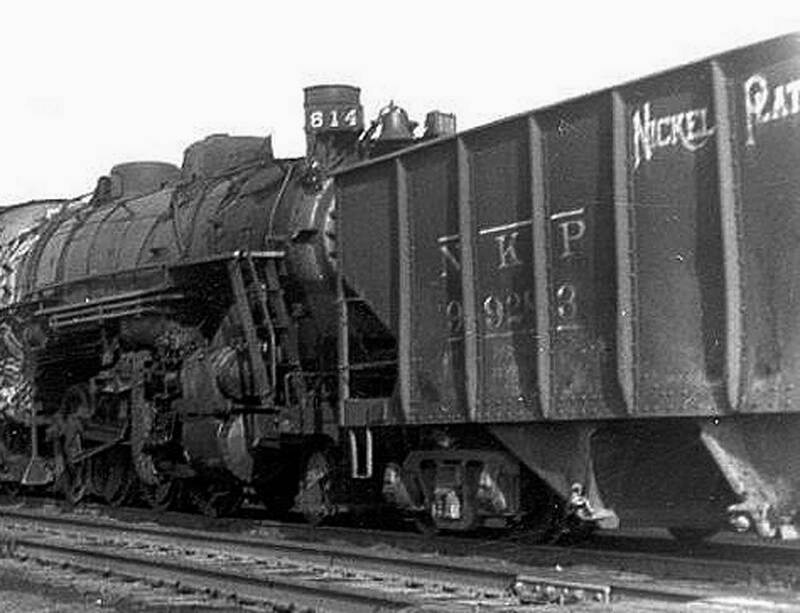 Set includes lots 275-B, 287-B, 292-B, and 298-B, but is useful for more than 15,900 cars (see page B28 in the 1924 NYC freight car diagram book). 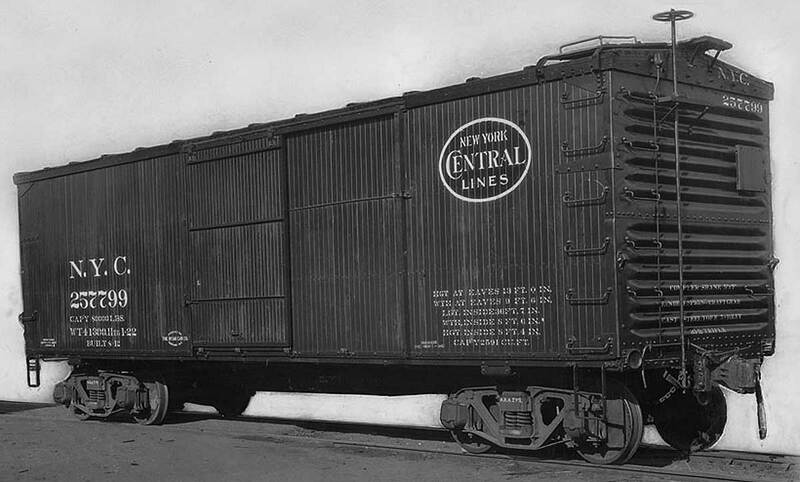 This set is specifically a replacement for decals in F&C’s NYC short boxcar kits. Decals will fully letter ONE car. Set includes black ovals for the NYC Lines herald. 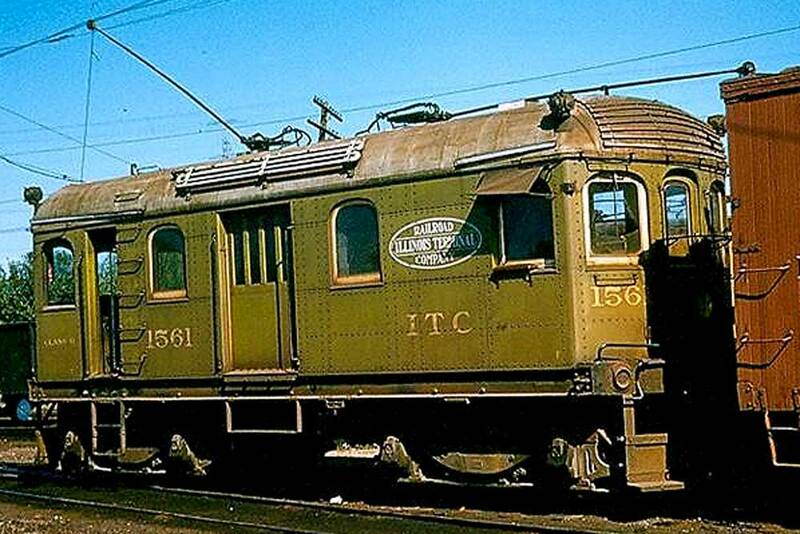 Covers NYC System cars in 1946-1960 lettering. 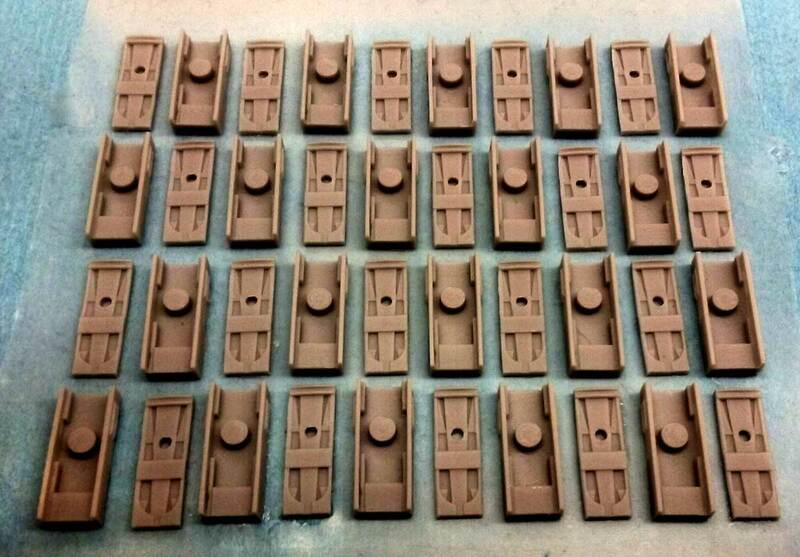 This set is useful for 15 different lots of steel hoppers covering thousands of cars in the post-WW2 era. Decals will fully letter THREE cars. 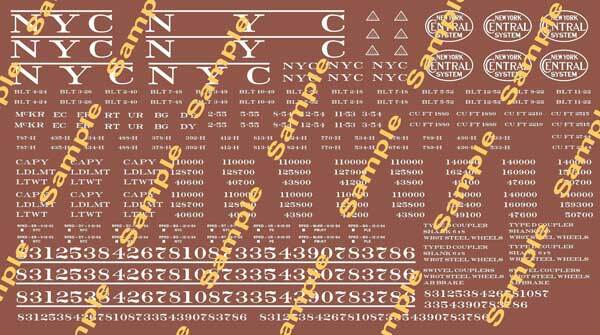 A very limited run of O Scale decals that covers several lots of NYC System USRA hoppers for the 1936-1960 lettering. The decals are white lettering for a mineral brown car and this set will fully letter ONE car. Decal set will fully letter one Illinois Terminal Class B or Class C freight motor with either the COMPANY or SYSTEM herald painted Pullman Green with dulux lettering. Decal set will fully letter any of the Apple Green painted Class B freight motors. Can also be used to partially letter other equipment painted in the Apple Green scheme.